This morning as I was reflecting on the Verse of the Day for July 3, 2014, I was somehow led to a blog entry that I had posted a number of years ago. I was once again moved to tears as I viewed “The Derek Redmond Story,” an account of what occurred in the 1992 Olympics. I am re-posting the blog entry and trust that it will be a blessing to all who read it as well. 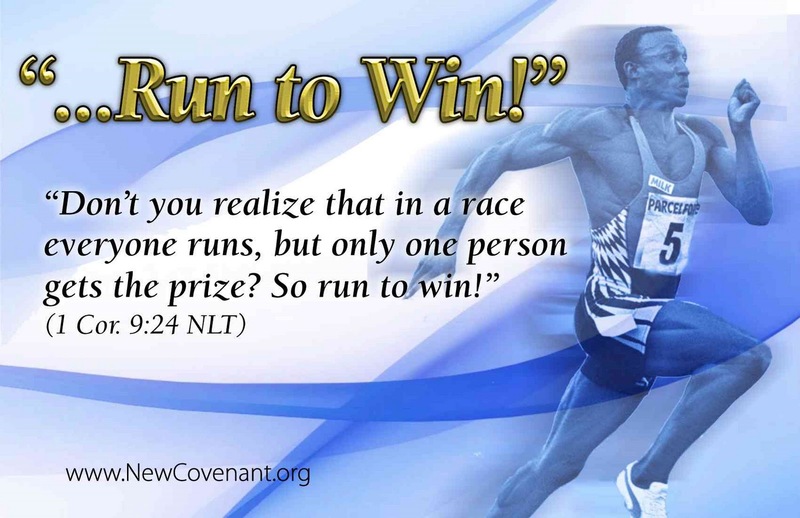 In the Race of Life, we are encourage to run that we might win. In reflecting upon an event that occurred when I was a rising sophomore in high school, I almost forgot about something else that occurred at the Presbyterian church camp where I made my debut as a teacher of the Bible. I relate this experience in the previous blog entry Faith: The Foundation of My Life. Following the message that I delivered, we participated in a cross country race, and guess who came in first place? I won the race and later ran cross country and track throughout my high school career, where I experienced both “the ecstasy of victory and the agony of defeat” on numerous occasions. In my time of prayer and meditation this morning, I reflected upon those times of triumph that inspired this poem “Ecstasy of Victory.” The epigraphs or introductory selections include a verse from the well-known athletic passage from 1 Corinthians 9 and the closing lines from “Barter” by Sara Teasdale, a poem that I was required to memorize as a junior in high school. I still know the poem by heart. I am steadfast, unmovable, though my whole world shakes. Having endured many fiery trials, I now stand approved. I experience hardness that a soldier must endure. Hence the trials and testing that abound in this season. I fulfill all of God’s will, all that He has planned. Then at last I stand upon the bema, the victor’s stand. 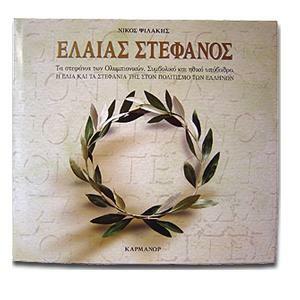 To savor ecstasy of victory for eternity. There was a commotion in the crowd and a man ran down from the grandstands. He pushed his way through the security guards and ran on to the track towards his son. It was Jim Redman, Derrick’s father. He placed an arm around Derek. “You don’t have to do this” Jim told his son. Just before they reached the finish line, with the crowd screaming in support, Jim Redmond let his son go, so that he could cross the line on his own. 6For I am now ready to be offered, and the time of my departure is at hand. Hebrews 12:1 in the Amplified Bible exhorts us: “. . . let us run with patient endurance and steady and active persistence the appointed course of the race that is set before us.” With these words we are strengthened and encouraged. The foundation for my faith was laid when I was a youth, and I continue to build upon it, as I move from faith to faith and victory to victory. 6But without faith it is impossible to please and be satisfactory to Him. For whoever would come near to God must [necessarily] believe that God exists and that He is the rewarder of those who earnestly and diligently seek Him [out]. The anointing of the Lord is upon you. You shall walk through doors, and you shall bring the people of God behind you. No man shall be able to stand before you all the days of your life. Mighty man of faith! When you declare, it shall be done. You shall affect many through your faith, for out of the faith you shall see my faithfulness. . . . And you shall declare this is the way of the Lord, and they shall follow. For you shall stand and declare just as Caleb declared. You shall stand and say, ‘If God said it, it shall come to pass. If God declares it, I believe it. If God points the way, I will follow.’ And the people of God shall be inspired by your humble faith. For you are a man that has pleased me, and I’m delighted in you. This is the word of the Lord to you, Lonnell. To Lonnell, the word of the Lord. You shall walk in faith and not by sight. I used that particular prophetic word as a contact point for focused intercession regarding my particular situation with the prostate cancer, which proved to be a time of the testing of my faith. At times when my faith seemed to be diminishing, I would recite Scripture, listen to teaching tapes, in many cases my own messages whereby I taught myself over and over again. During this time of intense prayer, God was teaching me a valuable lesson about faith: “Prayer is the key . . . but faith unlocks the door.” I was reminded of these lyrics from an old gospel song, as I prayed fervently throughout this situation which seemed to be drawing from within me to become the “mighty man of faith” that God called me to be. 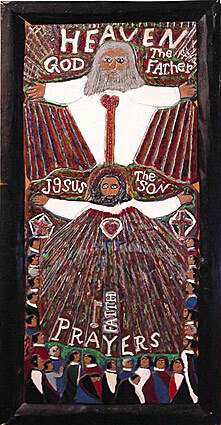 The renowned folk artist and minister, Elijah Pierce, completed this painted bas relief woodcarving entitled “The Power of Prayer” in 1960. 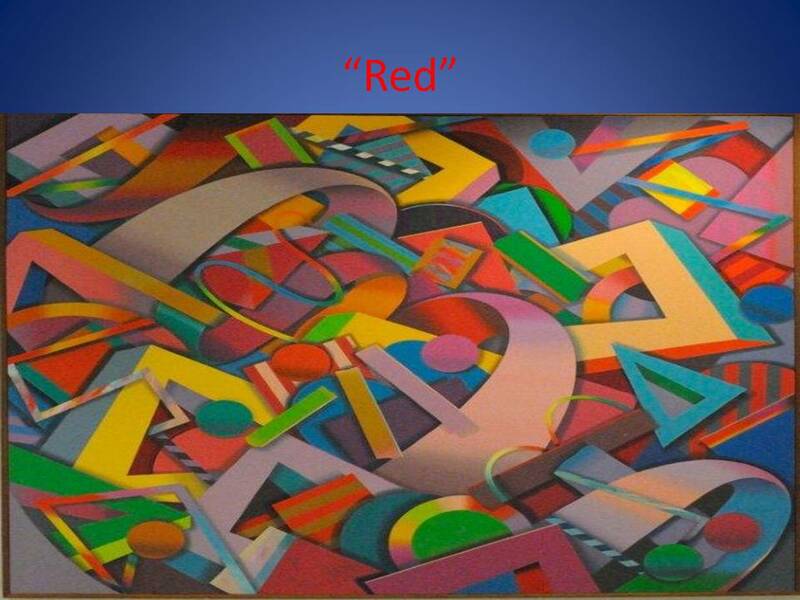 It is from the private collection courtesy of Keny Galleries, Columbus, Ohio. A woodcarving depicting the Power of Prayer with Faith as the key that unlocks the doors to God and His Son Jesus Christ. When He appraises my faith, what will it be worth? A faith so pure in essence that nothing defiles. As the mighty man of faith you called me to be. Will this hurt ever leave? 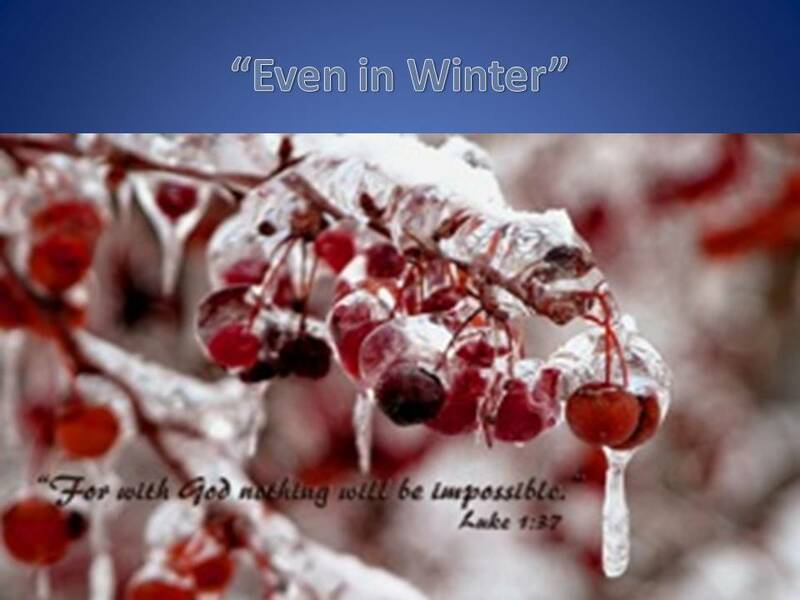 I conclude this blog on faith with this amazing YouTube video that provides a living illustration of the creative power of God with the lyrics to the familiar hymn “Trust and Obey” as a backdrop that expresses the simplicity of our walk by faith. 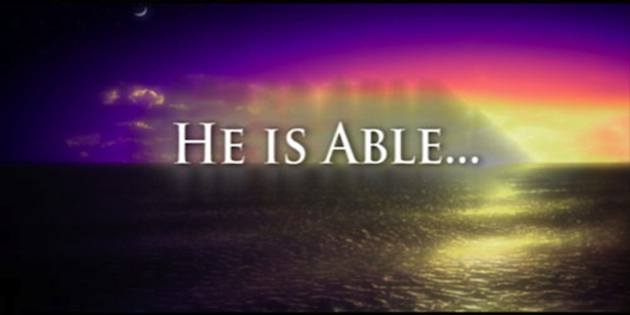 Despite the severity of the challenges we face, never forget that "He is able." 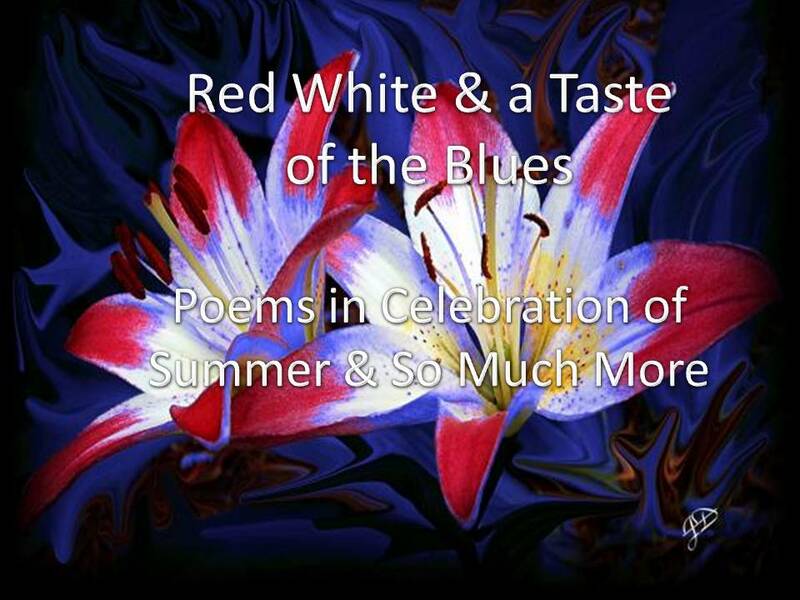 Red, White and a Taste of the Blues: Poetry in Celebration of Summer and So Much More is a collection of original poetry and commentary combined visuals and music offered as a blog. 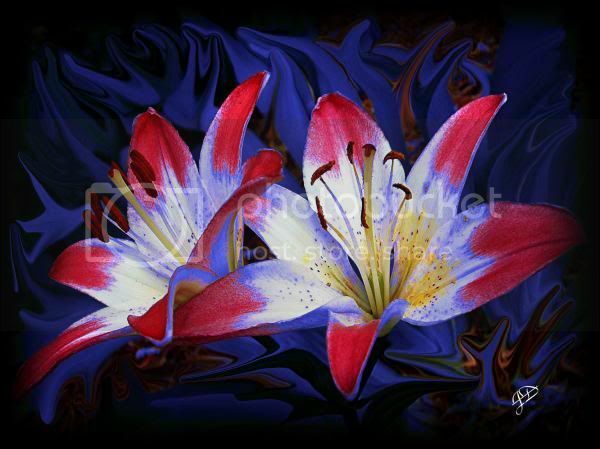 The opening photo displays the artistry of Jim Darnall in a vibrant display entitled “Red White and Blue,” three favorite colors of the summer season. 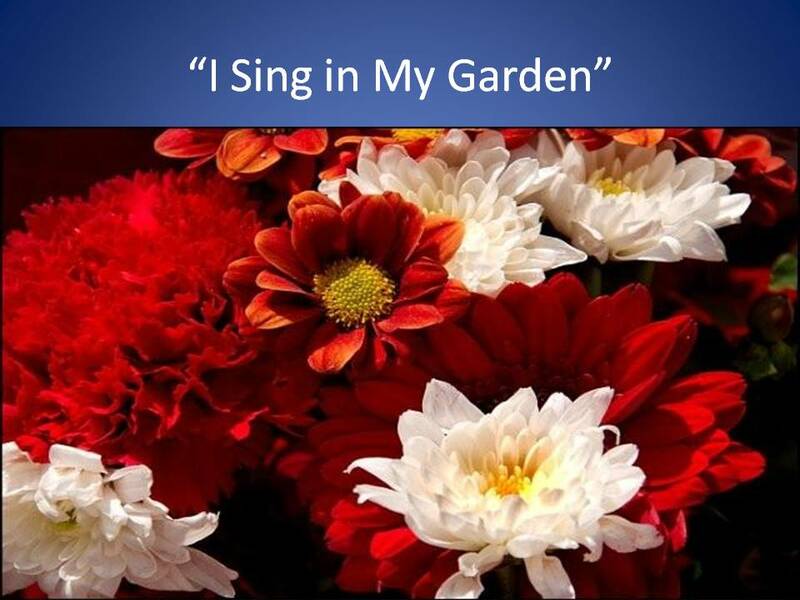 The opening selection, “I Sing in My Garden,” brings to mind the joys of gardening when I was in graduate school and planted a vegetable garden in the vacant lot next to our home in Bloomington, Indiana in the early 1980s. Metaphorically speaking, I still sing in my garden. Oh, sing unto the LORD a new song! Proclaim the good news from day to day. The bounty of living sixty-nine years. But flow from a heart filled with gratitude. Each time plowing, planting or harvest nears. When life was uncertain, my song unsure. Now from my green garden I garner truth. A song of conviction flows from my tongue. Knowing the best lines are yet to be sung. though they are red like crimson, they shall be as wool. The poetry in winter white brings to mind a familiar piece of classical music: the 1st movement of Winter from Vivaldi’s 4 Seasons. Quiet as it’s kept, Daddy loved the blues. in that “grassy as if it wanted wear” area near the Smithsonian. and a quartet from Dad’s home state of Arkansas. like a revival tent without the sawdust. in a rickety wooden folding chair sat old Flora. when she reared back her head and hollered. old Blind Robert that sang down in front of the Riggs Bank. to lure folk into the tent to taste that thick authentic down home sound. Blind Robert show could sing. . . .
Wonder why so many good blues singers be blind? All yall, I know yall see what it takes to show nuff sing the blues. Lonnie Johnson. I wonder what all that means, if anything. before we left and continued to stroll from tent to tent. After a while, Daddy wanted to go back just one more time. My Daddy show did love him some blues that time in DC. Some say the blues is an acquired taste that you appreciate as you age. As I have mellowed in the autumn of the years, I have come to enjoy the blues too. but I just couldn’t get into them down in the alley sad songs back then. I just didn’t know why the blues always be so sad. What did I know? What did I know? a lot more loving and losing to appreciate the blues. and sighed and wanted to go back just one more time. Quiet as it’s kept, my Daddy loved him some blues. “All Blues” is a poetic expression of my impressions of the blues as inspired by one of the paintings of Terrance Corbett, a massive mural in shades of blue inspired by the music of the blues. 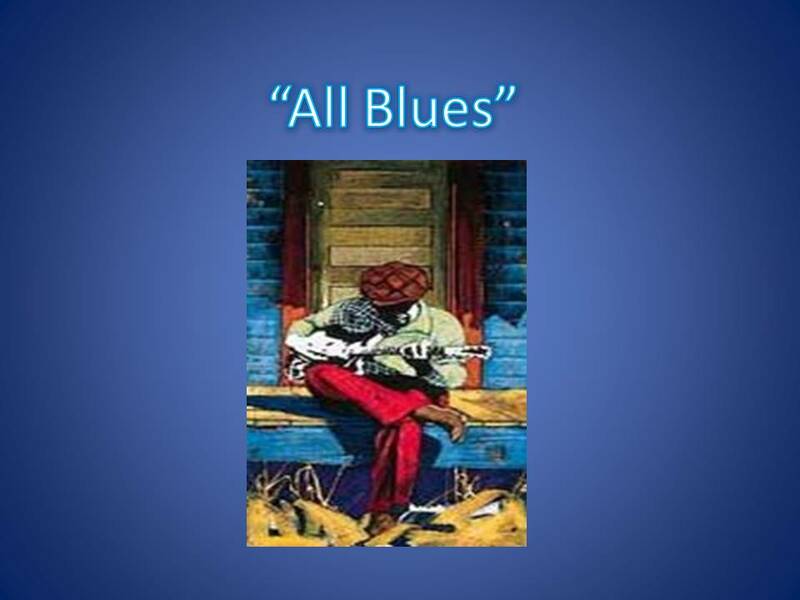 “All Blues” is published in Sacred Jazz: Music, Mood and Mind. Accompanying the poem is the music of the unmistakable Miles Davis. performing “All Blues” from the album “Kind of Blue” recorded in 1959. In 2003 while on sabbatical from Otterbein College, I made my first trip to West Africa, where I visited historic Goree, Island, one of the centers of the transatlantic slave trade. The trip by ferry to Goree Island proved to be one of the most profoundly moving experiences of my life thus far. The impact of that particular part began with a lecture at the Goree Institute on the Transatlantic Slave Trade in Senegal by Dr. Ibrahima Seck. 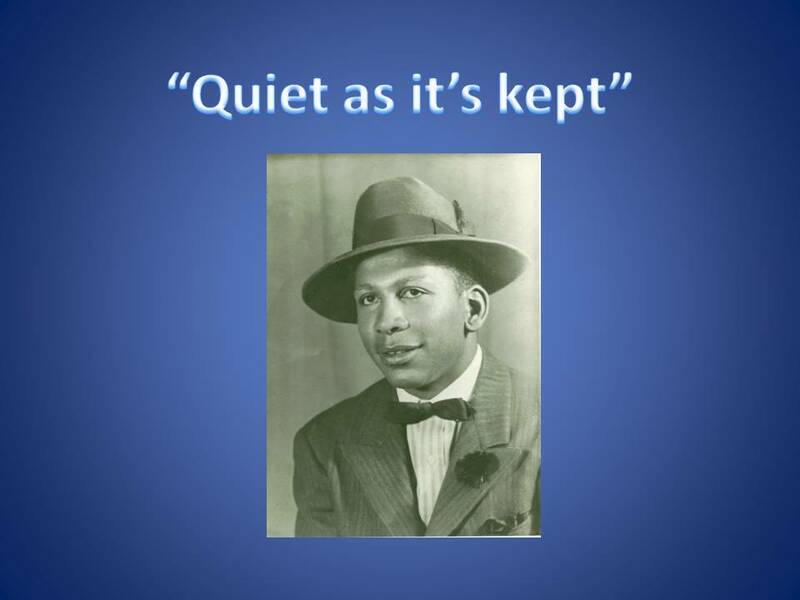 Because of his interest in Africa American music, Dr. Seck discussed and illustrated specific connections between the Blues and African music. As a poet who infuses the blues into my poetry, I was especially fascinated by his discussion and sampling of video clips of African musicians and singers. As a result of Dr. Seck’s lecture as well as the total experience on Goree, I now “understand” and appreciate my poetry to a much greater degree, especially those works that include blues lyrics. 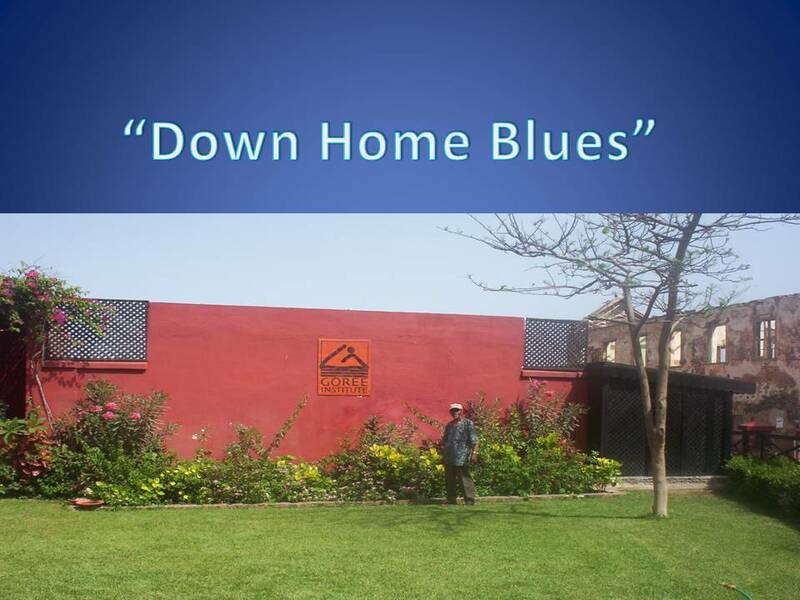 “Down Home Blues” was written after reflecting upon Dr. Seck’s lecture at the Goree Institute. ”The blues has no African name. . . The word for the blues does not exist.
. . . show is. . .
. . . staring at the rising sun. 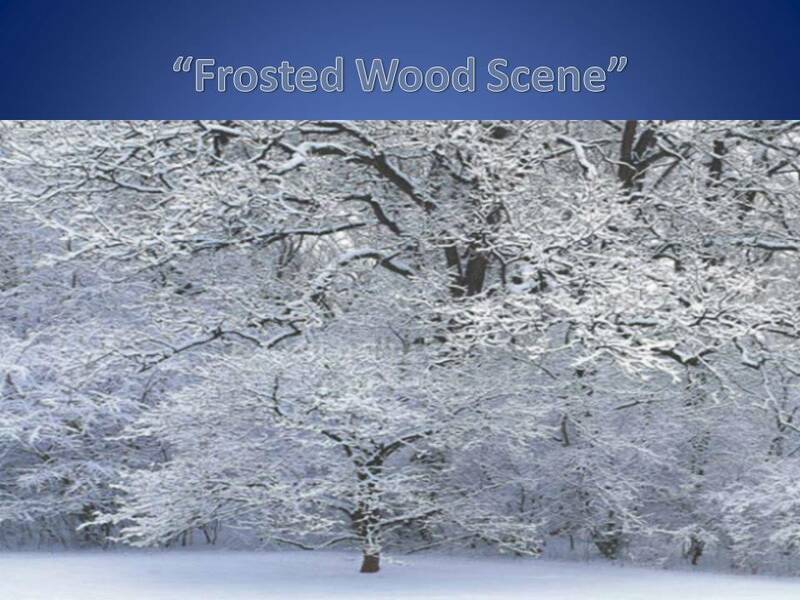 The blues comes in all shades, as intimated in “All Blues,” and here is “. 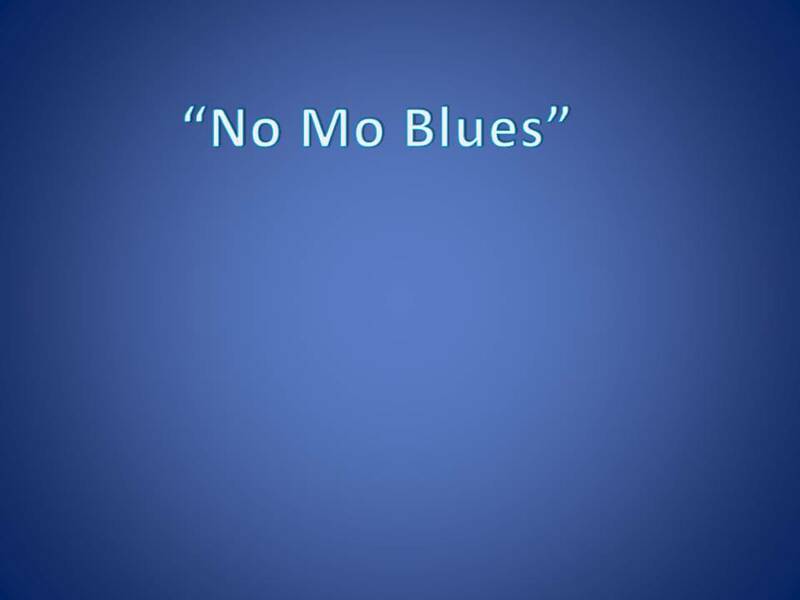 . . a lighter, brighter, subtle twinge of powder blue”, a pastel, bright and bubbly blues piece called “No Mo Blues.” I wrote the lyrics and my longtime friend, Dan Haas, put the words to music and offers his rendition of the song. In the union for singers of the blues. Ain’t gonna pay no mo union dues. I was payin my blues singer’s dues. I could show-nuff cry and croon. Now I’m hummin a brand new tune. This old blues singer’s done retired. I want the whole world to see. What my pretty baby done for me. The sun shined in my front door. I ain’t gonna sing the blues no mo. Messin with folk all round the neighborhood. Sneakin in the back door of my sister’s house. You tried to served with pain and bitter tears. But I’m sorry, you can’t stay. Everyday we still gonna watch, fight, and pray. Can ever separate us from God’s love. I got your number, don’t you see. 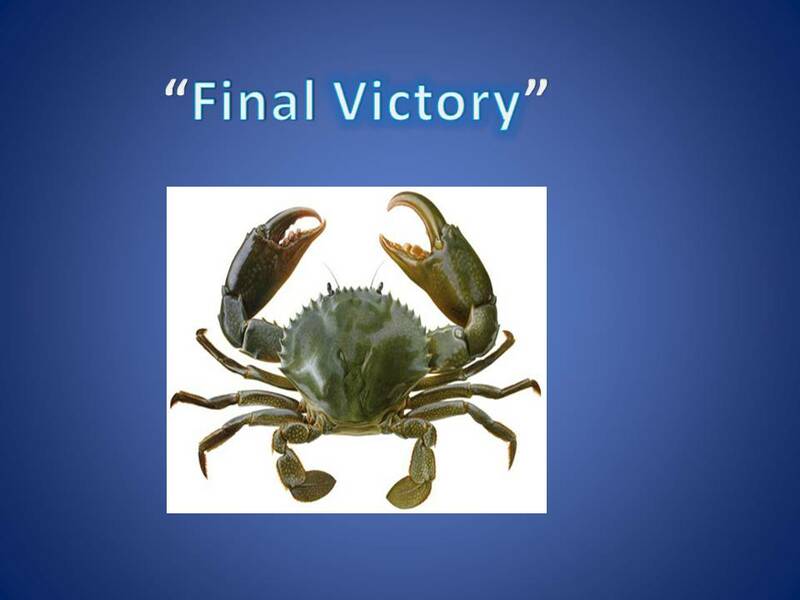 But we show-nuff got the final victory. To gather us together soon . . . and very soon.